Fish Party Online is a simulation online mobile game of the coined fishing game and will give you the real experience in your mobile, tablet. Aim to catch fish, earn Gold and XP anytime and anywhere! - The Challenge mode of 2 to 8 players cannot be missed. The winner takes it ALL! - Friendly art-work to all ages helps you to fishing, hunting and earning Golds every time and everywhere. 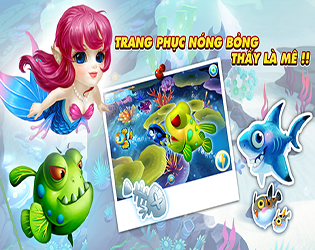 - The insanely addictive game Tieu Long Du Hý Online gives you the exciting, funny and joy feelings more than other hunting fishing games. Especially the more difficult creatures you catch, the more golds you get! More than REAL! - Invite friends and daily login can give you Daily FREE Golds, Money!